Death can bring a family down. And that’s what the Midwestern family currently feels. Their patriarch is dead; another family member is about to pass away too. The family knows they are about to face a series of tragic events and a serious illness. But what they didn’t expect is to be pulled together by these challenges. With grit, love, and faith, they are about to restore the family balance again. when she wants with no one to tell her differently when the time comes, reality proves it to be more difficult than she thought it would be, life as an adult often had crawl obstacles in her path and it also taught her people aren’t always who they seem to be at first. Margaretha Peters 26 years old I live in Canada Ontario I was raised in a family of 8 and I have lived out in the country for most of my life this is the first novel I have ever written and I hope to continue writing. It was the end of one war and the beginning of another. World War II was over and the new war, the ‘Cold War’, had begun. It was thus called because it would not be fought with bullets and bombs, but with propaganda and intelligence, a.k.a. spying. The adversaries were groups like the KGB, CIA and MI6. The largest of these groups, the KGB, hatched a plan to install a ‘mole’ in its No. 1 enemy, the USA. To effect the plan it would require ‘replacing’ a citizen with a known background. Frank Legge is a graduate of Westminister College with a BBA degree. After graduating from the Naval Officer Candidate School, he served four years, most of which was on an aircraft carrier. Following this he attained an MBA from Wharton. His business career was in production and sales of computer equipment. Have you ever felt like something was watching you, in the place you’d least expect; out with friends on a warm summer night. You’re taken on an unexpected journey and discover a secret hidden within someone or something. 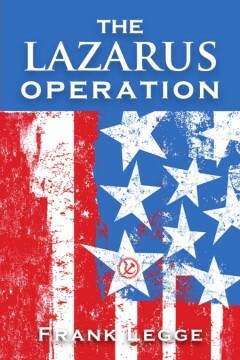 This book is based on true events so brace yourself. 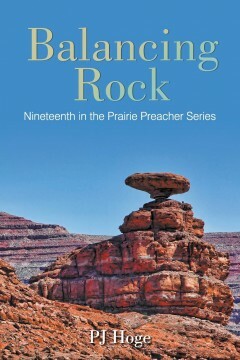 Author Randall B. Linn has a very descriptive style of writing. He expresses his ideas in specific ways by using just the right word and putting it in just the right place. He developed his style from reading copious amounts of literature and studying science. The stories he writes tap into feelings of unfamiliarity within one’s self and spirituality. 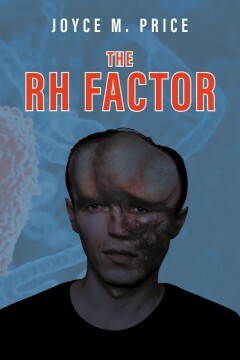 He writes non-fiction short stories that come from unique experiences he himself went through or things he seen happen to others in his past. 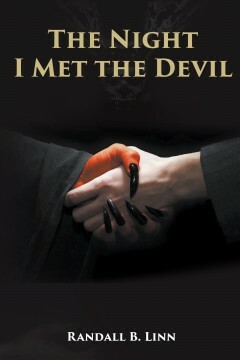 The Thriller “The Night I Met the Devil” is the first of 5-series published from his collection. 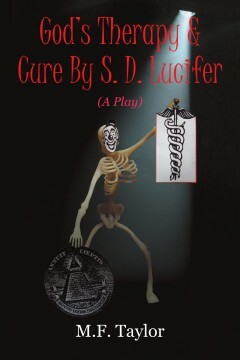 He writes stories based on true events that some might call scary; sometimes the truth is scary. Some people can face it head on; some run from it…. have been advised to not have children, but they had never been tested. been a widow for over 20 years, have plenty of time to write. If chance exists destiny too. Young people are capable! Do not limit them! A good friend can be of any nationality! Answer the call of your heart! e world is for us. 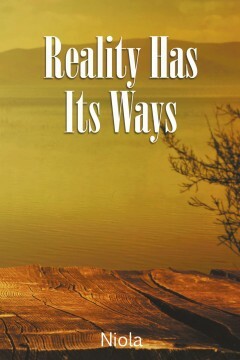 faith in God through his Son Jesus Christ. is is the content of Tina & Rudy. Roland Rodene was born in Les Anglais, Haiti. Friend of God, author of Cynbel & Zothia and Turmoil in High Land? He holds a Bachelor in Economics and a Masters in International Commerce from Boston University. Ce roman, au fond, c’est le souffle d’un homme qui respire et transpire Terre Hautedans le moindre recoin de son être. Cet homme, c’est Anglaisien. Il porte en lui-mêmemille et un souvenirs deschoses et des gens qu’il a vus et entendus, et des histoires etexpériences qu’il a vécues. En dépit de sa peur, il est allé seul au cours de la nuit dans lagrotte. Son audace porte ses fruits. Il reçoit un appel de l’autre monde. Dans la grotte, aulieu de Sarasin, il se trouve face à une silhouette : c’est sa mère, Terre Haute. Il apprend deux vérités étonnantes et extraordinaires : d’abord, il est missionné, chargé de publier « la Cause de sa mère » ; celle-ci sera la Mère des Nations.Maintenant, ses chemins et ceux de la ravissante Miss Oloffson se croisent. Si aucommencement, il y avait Adam et Ève, à la veille de l’émergence de la Terre desNations, il y a lui, Anglaisien, et Miss Oloffson. Vu leur passion pour elle, seront-ils roi et reine en Terre Haute ? Celle-ci a une alliance solide et sûre avec Suezza, le pays d’origine de Miss Oloffson et toutes ses autres soeurs. L’émergence de Terre Haute, Terre des Nations, ce nouveau centre de l’univers, aura-t-elle bientôt lieu ? Dans cette oeuvre à l’allure merveilleuse, féerique et prophétique, plusieurs mondes, plusieurs niveaux de symbolisme, de mystères et de connaissances semblent cohabiter, se connecter ou s’entrecroiser. Les lieux, les nombres, les personnages semblent allégoriques et porteurs aussi de messages codés. À tous ceux qui s’intéressent au devenir d’Haïti, aux mystères de son sol, de son sous-sol, à ses eaux, ses grottes, ses ruines indiennes et coloniales, le romancier Roland Rodené, né à Les Anglais, Haïti, Ami de Dieu, auteur de Cynbel et Zothia, détenteur d’une licence en économie et d’une maîtrise en commerce international de l’université de Boston, offer de quoi fouiller, questionner, examiner, réfléchir, comparer pour aller plus loin dans la connaissance des mythes et mystères d’Haïti. Car quand il s’agit d’Haïti, la fiction n’est jamais loin du réel, et vice versa. 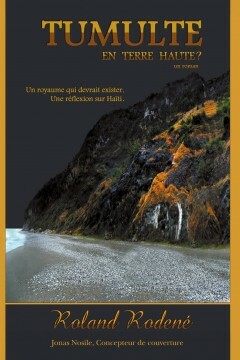 Luc Remy, Professeur, Auteur de Réflexions Stratégiques sur Haïti. This novel is the story of a man who lives and breathes High Land in the very fiber of his being. This man is Anglaisien. He carries a thousand and one memories of things and people, both seen and heard, as well as life stories and experiences. In spite of his fear, he goes alone at night to the cave. His audacity bears fruit. He receives a call from the other world. In the cave, instead of Sarasin, he finds himself face to face with a silhouette; it is his mother, High Land. He learns two astonishing and extraordinary truths: firstly, that he has been given a mission — to publish “His Mother's Cause” ; and secondly that she will be the Mother of All Nations. Now, he and the ravishing Miss Oloffson cross paths. If in the beginning there was Adam and Eve, on the eve of the emergence of the Land of Nations, there is Anglaisien and Miss Olofsson. Given their passion for High Land, will they become King and Queen? High Land is in solid alliance with Suezza, Miss Olofsson's native country and all of her sister-nations. The emergence of High Land, Land of All Nations, this new center of the universe — will this soon take place? In this work of marvelous, magical and prophetic allure, many worlds, many levels of symbolism, mystery, and knowledge seem to exist together, interconnect, or intersect. The places, numbers, and characters seem allegorical and resemble carriers of coded messages. 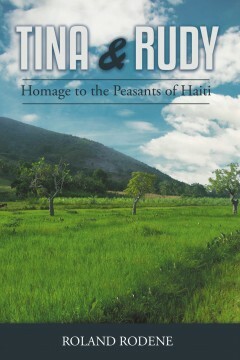 To all those who are interested in the emergence of Haiti, in its earthly and subterranean mysteries, in its waters, caves, Indian and colonial ruins, the novelist Roland Rodené, born in Les Anglais, Haiti, friend of God, author of “Cynbel and Zothia,” holder of a Bachelor's degree in Economics and a Master's Degree in Administrative Studies (Multinational Commerce) from Boston University, offers much to question, examine, compare, and reflect upon in a quest to delve more deeply into the myths and mysteries of Haiti. 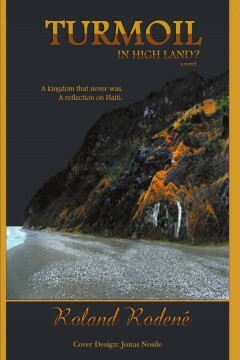 For, when it concerns Haiti, fiction is never very far from reality, and vice versa.